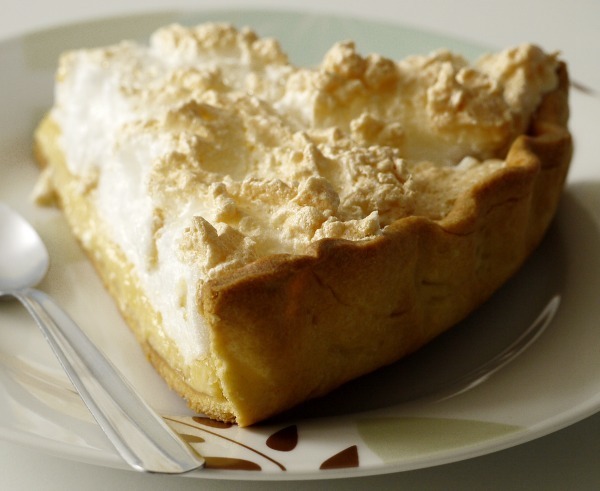 My dear friend Judy loved lemon meringue pie, L.M.P., as she called it. To her, it was just something you had when friends got together. I was not the originator of this tradition with her, but I was privileged to share it with her, too. Memories as sweet as the pie. You see, Judy went home to be with the Lord yesterday. So, I am up extra early this morning, thinking about sweet Judy…and L.M.P…and life. I have a Judy story to share that, to me, sums up the lady she was. The day Keith died, he had sent me flowers for our anniversary, which was two days later. He did not know he would not see that anniversary. I got home from saying goodbye to him at the hospital to find this final gift. The ladies from church, particularly Judy and her daughter-in-law, were anxious to preserve those for me. They made a frantic internet search to find someone to do it. When they did, Judy’s sweet husband came and got the flowers, boxed them up and sent them away to be freeze-dried and framed. Today, they hang in a shadow box in my bedroom. And, as much as those flowers mean to me because they are from Keith, they mean just as much because of the work that Judy and the other ladies from my church put into me keeping them. The Lord’s plan was not to heal Judy this side of Heaven. I don’t know why…but I know He does. 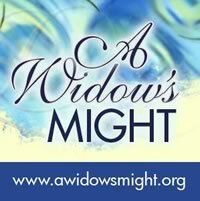 Judy knew her Lord had a plan, too, and she was willing to trust in Him. And because she did trust Him, this is not goodbye to my sweet friend, but instead see you later. We have that promise from Him when we live in Him. Praise God for that! So, we can survive the here and now, the yucky parts of life, the hard parts of life, because we know that He lives in Heaven and has gone to prepare a place for us there (John 14:2-4). Judy is seeing that now. And that is cause for rejoicing, even with tears in my eyes. I’ll be there later, Judy…and I’ll bring the L.M.P. I woke up with a headache. I cried at the breakfast table because I felt unappreciated by my children. I cried on my walk because Keith was not here. He (usually) knew how to make me feel better when I was in one of these moods. I walked along, tears flowing…whining to God (gotta be honest here). I knew I was about to reach where Renee stands in the morning, waiting for the school bus with her charge. I met Renee walking but found out she attends the same Wednesday night service I do. I dried my tears and smiled. And I walked a few more steps. Then God spoke to me in my spirit. Nope. Own in. Go back. Tell her. So, swallowing my pride, I broke stride from my walking and went back. And I walked on, feeling better. Provision! I could now hear the birds singing. I even found a quarter…that will go in the missions box the boys and I are currently filling. I smiled at the others I normally see and speak to on my walk. My world had tilted back in the right direction. My morning was just some of life’s “light and momentary troubles” (2 Corinthians 4:17). They happen to us all. Jesus promised they would. I am thankful for a God who is gracious enough to put people in my path (literally) for the times when I need them. And I am thankful that He knows I sometimes need that extra little push to take what He has so graciously given to me. Sometimes, it is just a matter of me looking beyond myself As I reflected on this, I could see many blessings in my life, things that had been hidden from me as my thoughts circled myself instead of the bigger picture. At the end of my walk today, I ran into my sometimes-walking-buddie Carol. We greeted each other and she asked how I was. And I could honestly tell her that I am doing…OK. Americans surely have a love affair with their t-shirts. They express loyalty: to sports teams, universities, and causes. They express belonging: to families (and reunions), a variety of special interests, and teams. They express fondness and memories: to old TV characters, favorite sayings and scriptures, and trips taken. In my house, we have a plethora of t-shirts that show all the different rec teams my guys have been on. The standard souvenir when we have been on a trip is a t-shirt. All the boys have t-shirts with my alma mater (Go Hokies!). We also have a variety of t-shirts for the Nationals, Yankees, Giants, and Colts. I had a conversation this morning with a dear friend about the t-shirts we should wear. You see, she has had hard stuff in her life, too. She lives with cancer, and has for more than 14 years. She is doing well, the doctors say. She is a survivor. And I think she is amazing. But she shared with me that sometimes she would like to have a bio to pass out, rather than to retell the story. She would rather not deal with the pity — or the label. She would rather wear the t-shirt I Have Cancer, But I’m Still Here than to go through the whole, drawn-out explanation. I get that. Some days I am ready to share my life and my story; some days I am not. Some days, I see myself wearing a t-shirt that says Widow with Four Children – Don’t Judge Me, Just Love Me. That way, I don’t have to go through the story or the pity, either. And I might not have to explain being a little…off. Other days, I am more ready to wear a t-shirt that says Ask Me My Story…See God in Action! Or, I’m Not Superwoman, But My God Is Superman! I am ready and eager to share what God has done and is doing in my life and the lives of my kids. I guess my point is this: I am more than the label, more than the momentary t-shirt I wear. In my humanness I often miss the mark of representing Who I love the most. And I need to ask Him to forgive me for that. I have the opportunity–and the responsibility, I believe–to rise beyond my circumstances and be a living example of my God. I am the sum total of all I have been through and all I will go through, but, most importantly, how I have responded to these things. And as such, the t-shirt I strive to wear is this: God’s Child, Wholly and Completely!